SEOUL, Jan. 11 (Yonhap) -- South Korea said Wednesday the North has made "considerable" progress in nuclear capabilities recently, citing the increased amount of its fissile material and improved warhead miniaturization technology. In its 2016 defense white paper, the Ministry of National Defense estimated that North Korea has some 50 kilograms of weapons-grade plutonium, sufficient to manufacture 10 nuclear weapons. In 2014, the biennial report estimated the North's stockpile of plutonium at about 40 kilograms. The ministry also said the North made significant advancements in its ability to miniaturize nuclear warheads and enrich uranium without providing details. The white paper comes amid fresh tensions over North Korea's threat to launch an intercontinental ballistic missile that could reach the U.S. mainland. With Donald Trump set to take office as U.S. president on Jan. 20, North Korea has said it will launch an ICBM at a time and place determined by its leader Kim Jong-un. 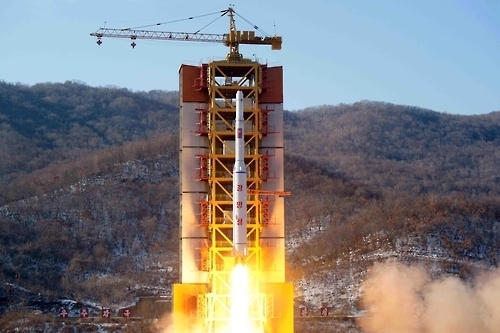 Kim said in his New Year's address that the North had reached the final stages of ICBM development. In response Trump tweeted that the rogue state's development of a nuclear weapon capable of hitting the U.S. "won't happen!" U.S. officials have warned that the U.S. military will shoot down a North Korean missile if the territories of the U.S. and its allies are threatened. The North has unveiled ICBM-class missiles such as the KN-08 and the KN-14 several times since 2012 without testing the weapons. It is also developing a submarine-launched ballistic missile (SLBM). "But the North has not mastered ICBM-related technologies yet and it is in the midst of completing the flight capabilities of an SLBM," a defense ministry official said. It is the first time for Seoul to use the terms nuclear bombs, ICBM and SLBM, in the defense white paper. It reflects that the North's missile and nuclear weapons development has emerged a "serious threat" to the U.S. and its allies, he said. In the paper, the defense ministry corrected information on the ballistic missile launched by North Korea on Sept. 5 last year as an upgraded Scud-ER missile with a range of 1,000 km, not a mid-range Rodong missile with a range of 1,300-1,500 km. The white paper also outlined recent developments in the North's enhancement of conventional military power. It increased the number of troops to 1.28 million in 2016 from 1.2 million two years earlier. At the same time, the air force shrank from 120,000 to 110,000. The navy remained unchanged at 60,000. 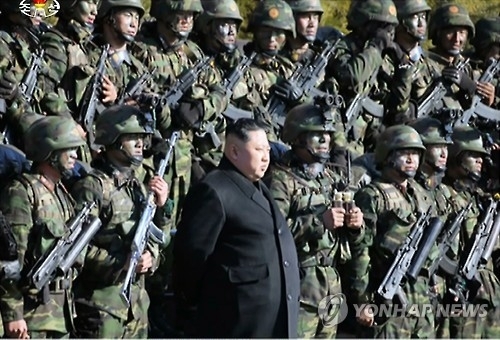 Pyongyang also deployed 10 300mm multiple rocket launchers capable of striking Daejeon, where the South Korea's headquarters of the Army, the Navy and the Air Force are located. "The North has increased its maritime attack capabilities by deploying new mid-size and large warships and a variety of very slender vessels (VSVs). 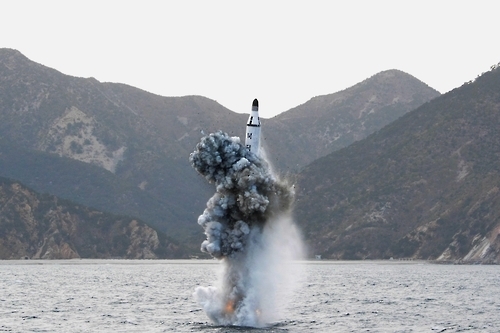 In particular, it focuses on making some progress in launching a ballistic missile from a submarine," it said. Meanwhile, the 2016 white paper didn't carry any comments and photos of President Park Geun-hye unlike its previous edition published two years ago. Instead, it carried photos of Acting President and Prime Minister Hwang Kyo-ahn, who took over following the parliament's impeachment of Park over a massive corruption scandal. Park is accused of colluding with her longtime friend, Choi Soon-sil, to extort money and favors from big companies, including Samsung, which were then funneled into dubious foundations controlled by Choi.